RTX Meets the Sweet Spot in Value. Better late than never right? That seems to be the mantra with recent GPU releases post RTX launch. This time I did not get a card in hand until the day of Embargo release and rather than rush it out I did my normal disassembly and everything to make sure you got data representative of our performance testing you are used to. There will be ALOT of resemblances from the RTX 2070 review we posted prior as the cards are for all intents and purposes the same. Cooler and PCB are same with only very minor differences such as some variance in VRM components which we will explore in the teardown. The Nvidia RTX series has been out for over 3 month now and are still met with a ton of criticism from the community. Firstly because of the price as now the flagship card is at a price point of where the TITAN model normally existed. 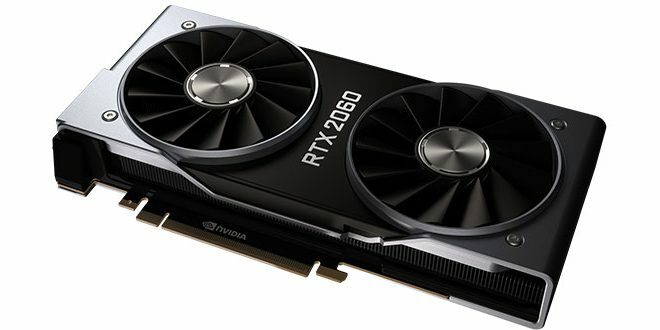 TITAN model is now in the $2,500 range, and add to that the fact that anyone purchasing an RTX model card still is basically betting on the delivery of developers with the new features that RTX cards have that make them special such as DLSS and RTX/DXR inclusion. The specialized Tensor and RT cores in the Turing based GPUs are very powerful as we showed the capability in the RTX launch article. If you have not read that yet, its worth a read here. Needless to say, if and when RTX/DXR goes mainstream it has the capability to really change the realism and depth which can exist in your favorite titles. Now comes the crux of the situation, and it is something I pointed out in my original review and it still seems to fester in the minds of the community. There is no content to test DXR except Battlefield V, 3DMark just released their new DXR benchmark Port Royal and Final Fantasy XV has DLSS. So basically we have a benchmark and two games that use the tech in some form or another. These numbers really need to be pumped up for users to see a reason for them to adopt the tech and supporting products. Now we are entering the true value sweet spot for gaming GPUs at $350 and lower. This is a much more palatable price point than the 500-1200 dollar price points RTX has been to date. 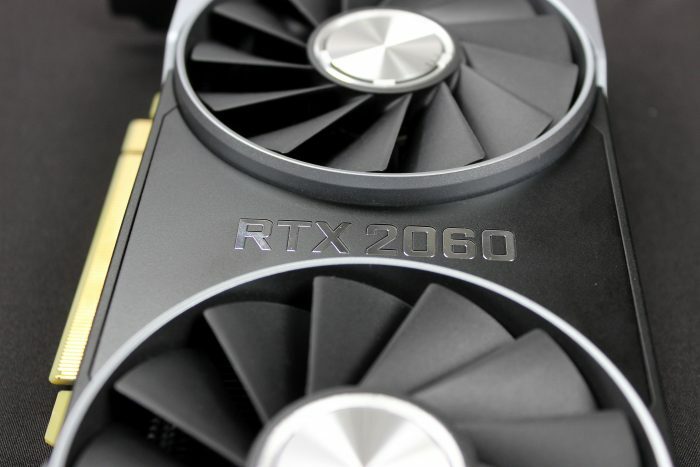 The RTX 2060 is an interesting card as I believe it will be 1080p/1440p gaming depending upon loading. It is possible to even do RTX with DLSS enabled on Battlefield V if what we saw at the Nvidia presentation at CES holds true. The RTX 2060 joins the RTX Stable with a price point of $349.99 for the Founders Edition. This price point is finally somewhere where Nvidia can truly offset those users who may consider going used market for a Pascal based GPU. This price point if the performance is right could change many users upgrade path onto the RTX family. Add to this that AMD just now announced Radeon VII and performance has not been proven and will not suport any meaningful real time ray tracing capabilities, or at least not any that we have heard of thus far. If RTX/DXR really takes off this card can be even more fo a bargain, but this remains to be seen. Here we can see one inclusion is Nvidia opted for one less DisplayPort connector in favor of having a native DVI Dual Link port on the RTX 2060 Same as the 2070 which I found interesting and this must be based on their market research that at this price point many users have at least one DVI display which they want to feed. Nvidia has now rendered Pascal obsolete with the RTX 2060 as a $350 entry into the RTX stack.